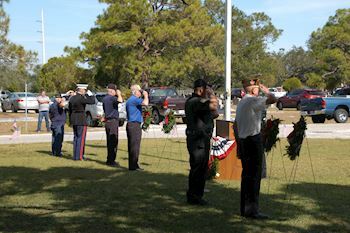 Welcome to the Sarasota National Cemetery's Wreaths Across America Page. 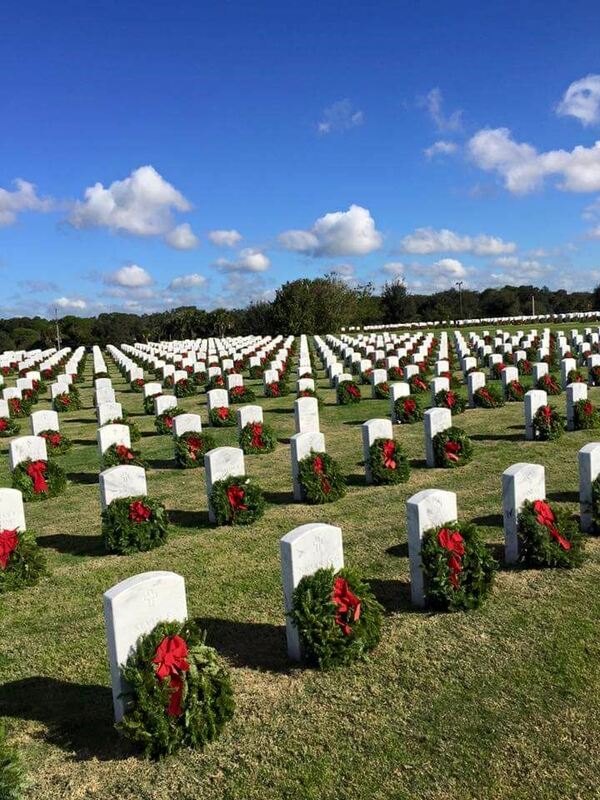 On %December 18, 2019% at 10AM, Wreaths Across America will be at Sarasota National Cemetery to Remember our country's fallen heroes at their final resting place. Our Memorial Service begins at 10am. At approximately 10:45, Family Members will be the first to place their loved one's wreath, with all volunteers present honoring those families their moment of privacy. At 11:00am, the Volunteers will then place the remaining wreaths and when doing so, say the name of each and every veteran aloud and Thank them for their service to our country. The first step to Volunteering is to SPONSOR a Wreath! Please help our location lay wreaths at 13,500 Veteran's graves by clicking the red "Sponsor" button. Then, if you would like to volunteer to participate in the wreath laying ceremony, please click the “Volunteer” button next to the cemetery name below,. Cick the "Invite" button to invite your friends and family to join you. Thank you so much for supporting Sarasota National Cemetery and Wreaths Across America! It is an honor to place this wreath for my husband, Leroy Groom, in his honor for his service to our nation during the Vietnam war. Today, December 15th, 2018 is our 45th wedding anniversary. Check out 150 "Remember" recent messages from our supporters. Click "View Remember Wall" to see them all. I 75 to Exit #205 (Clark Road/State Rd 72). East on SR 72 4.7 miles to 2nd Entrance on right. Follow Parking Attendants Instructions for parking! Please arrive Early to assure adequate time for parking and seating at Patriot Plaza. Car pooling is recommended as parking is at a premium. We are happy that you are willing to help with our Wreath Across America ceremony at Sarasota National Cemetery. The first and most important step to volunteering is to SPONSOR a wreath. 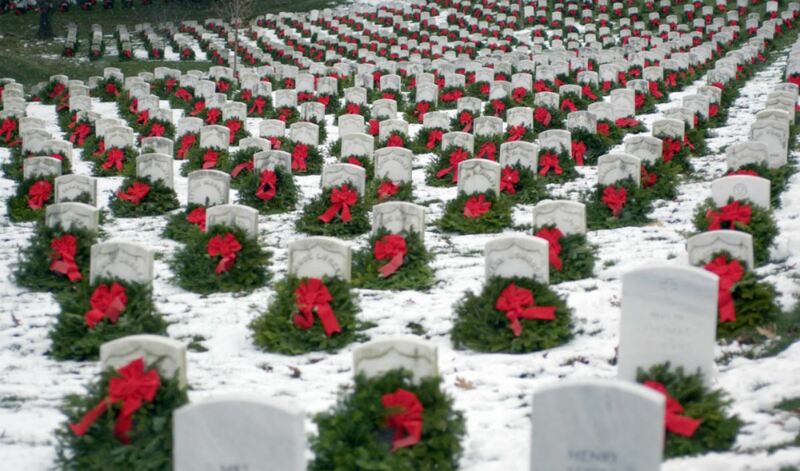 Then, please do not forget to register to volunteer for Laying of the Wreaths! 10:00 AM REMEMBER - Everyone is welcome to attend our Remembrance Ceremony at 10AM. 10:30 AM HONOR - FAMILY FIRST - Laying of the Wreaths will begin after our Ceremony, with Families Members present placing their loved one's Wreath between 10:30am and 11:00am. 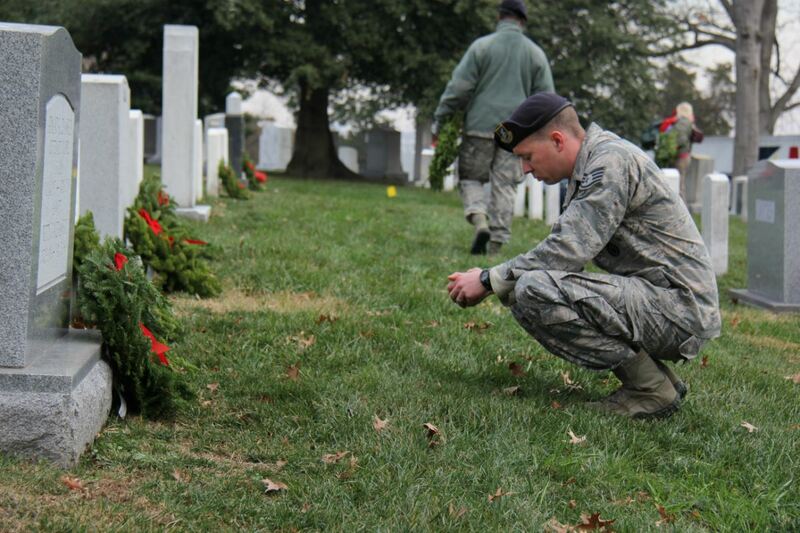 All Volunteers may place a maximum of two wreaths on the remaining gravesites. Please follow the Location Coordinator's instructions on where to place wreaths, as well as "how" they should be placed. 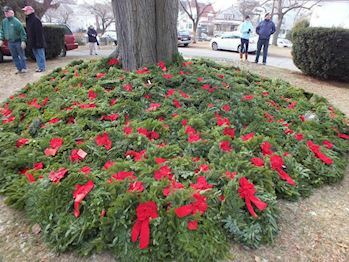 We especially appreciate volunteers willing to help Remove the Wreaths on January 12, 2019 at Daybreak. Please check in with the Location Coordinator if you are interested in helping with the removal. The most important thing to remember is to have a wonderful experience participating in our Remembrance Ceremony. 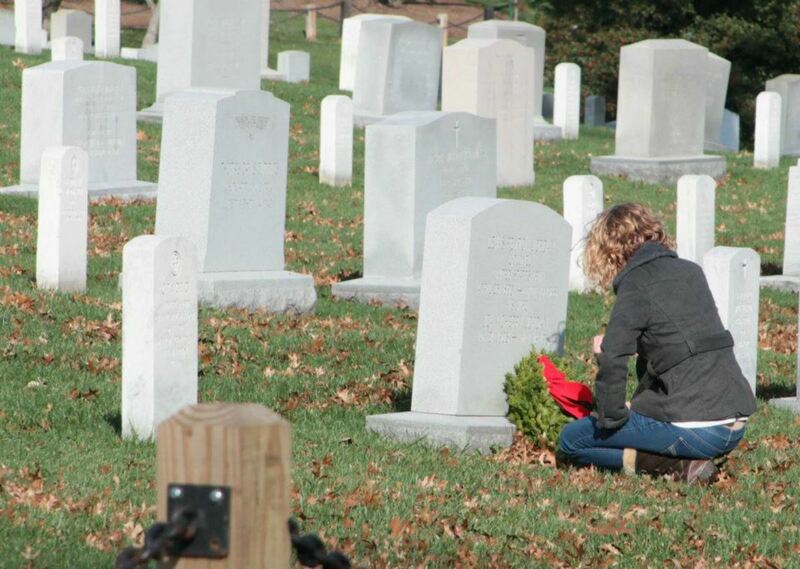 Thank you so much for helping Wreaths Across America achieve our mission to Remember, Honor and Teach. Welcome to Proud To Be An American-Stand Up For Freedom (FL0402)! Our location fundraising group is proud to support Sarasota National Cemetery, Sarasota FL and to help honor and remember as many veterans as possible. Please click "View" to learn more about our effort and then click "Volunteer" to join us for National Wreaths Across America Day. Thank you so much! 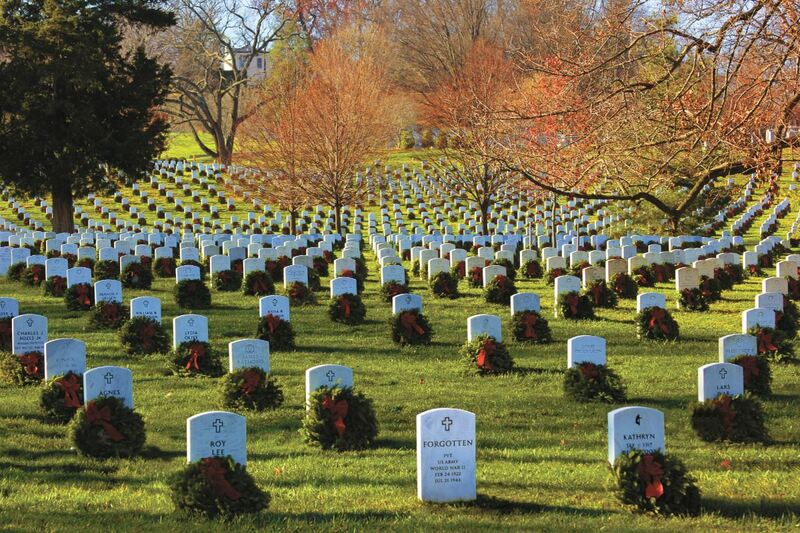 Welcome to Family and Friends of Sarasota National Cemetery Inc.'s Wreaths Across America Page! Our location fundraising group is proud to support Sarasota National Cemetery and our Mission with our Fundraising is to Remember and Honor all of our veterans lying at rest at Sarasota National Cemetery. 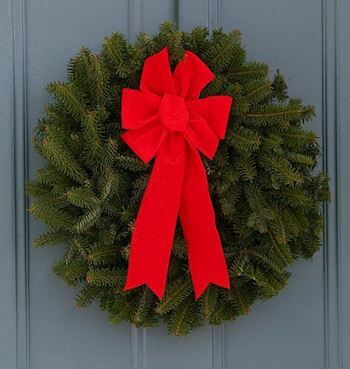 The first step for Volunteering is to Sponsor Wreaths! 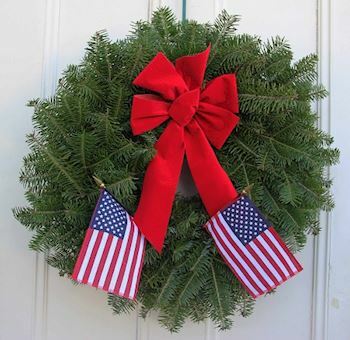 Please click the Sponsor Button to donate Wreaths for our 3 for 2 Fundraising Group. Then click "View" to learn more about our effort and then click "Volunteer" to join us for the wreath laying ceremony planned for 10AM on %December 18, 2019%. Thank you joining our Mission to Remember, Honor and Teach. 31 groups support us. Click "View Our Groups" to see them all.